You may know a lot about the world, but you know almost nothing about yourself. Carl Gustav Jung is here to help you get to know with the most profound aspects of your personality. Who Should Read “Man and His Symbols”? And Why? If you are interested in psychology, Man and His Symbols is a necessary read; especially if you are a beginner, and you want to understand the essence of Jung’s ideas. Written for the general public, it covers all of the basics and serves as a great introduction to the work of one of the most important intellectuals of the 20th century. Carl Gustav Jung was a Swiss psychiatrist and psychoanalyst, founder of the school of analytical psychology, and one of the most influential intellectuals of the past century. While working as a research scientist under Eugen Bleuler at the Burghölzli in Zurich, Jung attracted the attention of Sigmund Freud who thought of him as his heir; the Austrian even named Jung the first head of the International Psychoanalytic Association, founded by none other than Freud in 1910. However, Jung’s research led him away from Freud, and two had a not so amicable rift which deeply scarred Carl Jung and influenced his further thought and beliefs. Creator of some of the most important concepts in psychology – individuation, archetypes, the collective unconscious, introversion/extraversion, synchronicity – Jung’s work has influenced many different areas of human knowledge, ranging from psychiatry and philosophy to anthropology and literature. Who is John Freeman, you ask, and how does he know about the origins of Jung’s last book? Well, you can say that he is directly responsible for its existence. He was a journalist – also a decorated soldier, a diplomat, and a politician – who worked for the BBC during the middle years of the past century; during this period he was mainly known as the presenter and the interviewer for BBC’s excellent show, Face to Face. In 1959, he got to interview Carl Gustav Jung – then in the ninth decade of his life – at the psychiatrist’s home in Zurich. Freeman was pretty affected by Jung’s views and overwhelmed by his amicable persona; he left Zurich lamenting the fact that Jung’s theories were seen as being inferior to Sigmund Freud’s at the time. As far as Freeman was concerned, this was not because the latter were more correct, but because Jung’s were not available in a form which should communicate them to the general public. So, he tried convincing Jung that he should write such a book; however, Jung was reluctant and firmly denied the need for such an endeavor. And then – as you would only expect from a man famous for researching the unconscious – Jung had a dream which convinced him in the opposite. By this time, however, he was already pretty sick, so Man and His Symbols is authored by both him and a few of his closest collaborators. And it’s everything Freeman hoped it would be. 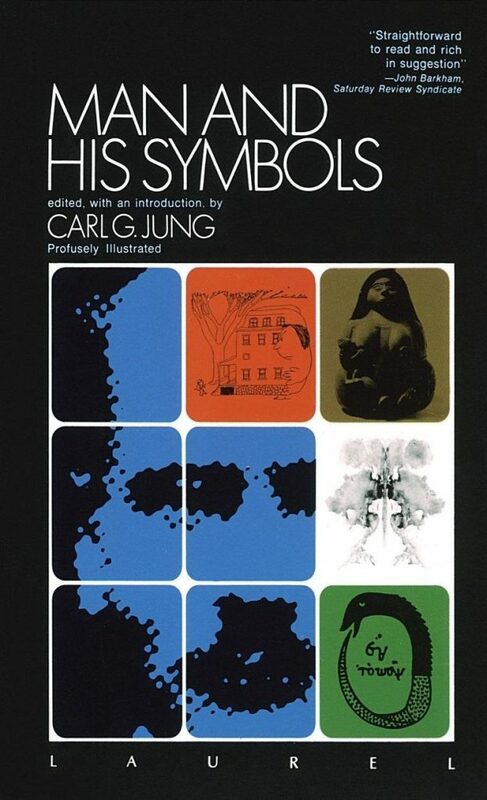 The first chapter of Man and His Symbols was written entirely by Jung, and originally in English, one of the very few things Jung ever wrote in the language. Jung starts his essay by making a distinction between signs and symbols. Signs merely denote the objects to which they are attached; trademarks and names of patent medicines are good examples of them. Dreams communicate with us in terms of symbols. For the same reason that a stenographer uses shorthand to encode data in a form which can subsequently be decoded; namely, there’s just too much of it all around us, and our unconscious uses shorthand as well. However, the shorthand of symbols written by our dreams is not exactly easy to understand; Freud attempted to do it, but according to Jung he made a few big mistakes. Ignoring something Jung calls the collective unconscious. Jung agrees with Freud that all of us contain two personalities within ourselves; every ancient civilization knew this, referring to the deeper part of us with the word “soul;” today, we call it “psyche” which is basically the same, since “psyche” means “soul” in Greek. However, Jung goes a step further than Freud. Yes, he says, we contain two personalities within ourselves, but the unconscious part of us is divided into two as well. Freud’s unconscious is Jung’s personal unconscious; and Jung’s collective unconscious is a new term introduced by Jung himself referring to a vessel of images and symbols shared by all human beings. As opposed to Freud’s, Jung’s psychotherapeutic practice (called Analytical Psychology) usually revolves around a patient’s relationship to the collective unconscious. As far as Jung is concerned, the problems he is interested in are, more or less, Western problems. In other words, most of the other civilizations – especially the Eastern ones – are not as dissociated from their souls (their psyches, their unconscious beings) as are we, the modern Europeans and Americans. Because, ever since the Renaissance, we’ve put too much emphasis on our rational selves, and, as a consequence, ignored the irrational. Since it is not something that can be ignored, our unconscious has come back to haunt us. It bursts into our dreams and forms the shadows that lurk behind us, reminding us constantly of the things we’ve never achieved or the things we want to. The Western unconscious is darker simply put because, by ignoring it, we’ve disintegrated our very own selves and created a deep chasm in which the meaninglessness of our lives lies buried. If you want to find some meaning and purpose, then your job is to find, once again, coherence, by first understanding the messages your unconscious sends you through your dreams and then use them as your guiding light. I have spent more than half a century in investigating natural symbols, and I have come to the conclusion that dreams and their symbols are not stupid and meaningless. On the contrary, dreams provide the most interesting information for those who take the trouble to understand their symbols. The results, it is true, have little to do with such worldly concerns as buying and selling. But the meaning of life is not exhaustively explained by one’s business life, nor is the deep desire of the human heart answered by a bank account. Joseph L. Henderson begins his essay by commending Carl Gustav Jung’s life-work. According to him, it is Jung who taught us to not only rediscover our ancient symbolic history but also to think of it in terms of ever-important ever-presence. Unlike many other thinkers and philosophers before him who saw in the ancient rituals and images merely primitive beliefs, Jung was right to see something which is buried so deep within the human’s psyche that it always speaks to us in a deep and meaningful manner. For example, we still celebrate Easter, Christmas, Halloween and many other holidays in a way which is profoundly riddled with symbolism; it is a sad affair that we have forgotten to understand its meaning, since, as Jung has discovered, it is still relevant to us. Because, more or less, these images are as real and as vital to us as, say, our hearts and brains; these images are actually organic. These archetypes are usually dismissed as merely “inherited representations,” but Jung says that it is absurd to link them exclusively to our conscious selves. If it was so, then they wouldn’t be so bewildering, and we would have easily understood them. The truth is, he says, that they are collectively-inherited unconscious ideas and patterns which are universally present in individual psyches. In continuation, Henderson analyzes Jung’s four major archetypes (animus/anime, the self, the shadow, the persona) and four others: the Hero, the Trickster, Initiation, and Transcendence. Marie-Louise von Franz’s essay “The Process of Individuation” deals more closely with the four major Jungian archetypes and with the different manners in which their interaction contributes to our development. Individuation, if successful, is precisely that: the process of integration of the innate elements of our personalities (these archetypes) into a well-functioning whole. It is an innate need for self-realization that leads us to explore and, subsequently, integrate these disowned parts; a failure to do so will result in neuroticism, manifested through psychosis, phobias, or depression. All of these, if we are to believe Jung, are the result of us not being interested enough to get to know with our deeper selves. Our inner core is the Self – and not the Ego; the Ego is merely the bridge between our unconscious and the real world; it makes real what the psyche imagines; so, in a nutshell, it is nothing more than the outer side of our psyche. The Self always has some kind of a purpose; and our Ego, during our lives, has to recognize this purpose and works toward its realization. Think of this purpose as destiny: as far as Jungians are concerned, you are preprogrammed to become something; self-realization is actually like solving a puzzle: you need to interpret your purpose correctly, and then walk the path toward making it a reality. Just like knight must face dragons to save the damsel in distress and unite with her, you need to recognize your Shadow (the shameful behavior your Ego wants to stifle) and integrate with the contra-sexual aspect of your personality (Anima/Animus). Only then your Ego will deflate and make room for your purpose; however, individuation is not narcissism, but the opposite of it. It’s becoming who you genuinely and authentically are by accepting everything else. Most of the points made by Von Franz in the third part of Man and His Symbols are repeated by Aniela Jaffé in the fourth, this time via an analysis of the history of the visual arts. Jaffé mentions from the start that, in a way, humans are different from the other species mainly because of their capacity to shape symbols – and jointly believe in their power. Three symbolic motifs which Jaffé considers central are subsequently analyzed through this essay: the motifs of the stone, the animal, and the circle. It’s entirely possible that, in the beginning, it wasn’t the Word, but the Stone; millennia ago, humans somehow devised the notion that stones may have some more profound meaning if carved or arraigned; so, they started doing exactly that; because of this, stones may have been the earliest visual representations, the most ancient human symbols. Soon afterward, humans moved on to drawing and redrawing another important symbolic motif: the animals; in fact, almost all of the cave paintings you know are animal representations. Because of the Shadow we talked about above; the animal motif is symbolic of human’s instinctual nature. In other words, early humans realized – of course, not consciously – that they are divided, and that one part of them is still nothing more but a wild animal. They knew full well that the only way for a society to exist is if everyone tamed his/her own animal; so, in a way, they talked about psychic individuation and integration through images. The circle is the final motif that Jaffé explores, noting that it is almost universally recognized as a symbol of completeness and wholeness. Jung himself thought of the Circle as a representation of the Self-archetype; when it is combined with a Circle (usually the latter is within the former), Analytic Psychologists tend to think of these images as visual representations of our duality – the circle representing our psyche and the square our body. Ever wondered why modern Western Art is neither realistic nor comprehensible? Well, according to Jaffé – and Jung, and many other mythologists and anthropologists – it is because of how much Western societies have put an emphasis on our rational beings and because of how much they have ignored the unconscious. The more they did this, the more modern art came to reflect the obscure, the ambiguous and the hard-to-decipher unconscious as a counterbalance. In a way, art is not realistic because we are too realistic. And so she does, outlining her attempt to understand the psyche of this young man whose dreams include walls and railings, monks, and visiting a brother as a soldier. Through careful analysis, Jacobi shows how these dream images uncover a tender introverted soul trapped within a “mother-prison,” simultaneously afraid and willing to tread the path toward independence and self-realization. Why have these dream images appeared now and not before? Well, simply put, because previously he never had a job, and his first job was the breaking point because it faced him with a choice: to either leave his home and realize himself or stay trapped forever in his introverted nature. Fortunately, through the course of several meetings with Jacobi – spanning many months – Henry successfully overcomes his anxieties and fears and is eventually able to leave his home and even marry. The conclusion of the book is once again written by M.-L. von Franz. In it, she tries to outline the scientific foundations for Jung’s theory of the unconscious, making a few quasi-scientific claims but also making an excellent point that our current state of affairs in the exact sciences must change profoundly if we are interested in finding out more about our very own beings. Unfortunately, half a century later, not much has changed. What Freud and Jung discovered was that something previous generations had taken for granted – namely, our integrity – is not only far from the truth, but is also the reason why we’re unhappy. Namely, in addition to our conscious and rational part – the one we communicate with and understand well – there is also an unconscious aspect of our being which talks with us through the symbols of our dreams and stories. These symbols are shared between all humans (they are part of the collective unconscious) and are individualized in the mind of every single human being. In stories, knights kill dragons and save the damsels in distress; in films, charismatic bandits stop trains and save the girl tied to it by the villain. Even though it is a different story, the underlying motif is the same, and it is the program which guides us to our self-realization. The thing that inspires us to be heroes is our Self; the dragon or the train is our Shadow, the repository of all dark and traumatic events our Ego buries far from our sight; and the lady is the Anima (or Animus if you are a woman), the counter-sexual part of our being. Contrary to many intellectuals before him, Jung thinks that, instead of ignoring them, we should embrace our Shadow and our Anima, because that’s the only way we can grow to become self-realized beings. Otherwise, we’ll suffer from neurotic conditions. Western men are, in general, much more prone to suffering from anxieties and depression. The division between their unconscious and conscious selves is much greater than the division in Eastern societies. Well, because, since half a millennium ago, we put all our chips on our rational selves and started ignoring everything else. And the unconscious has come back to haunt us, as can be readily observed in our modern art, which is much more symbolic and less realistic than any other in history. 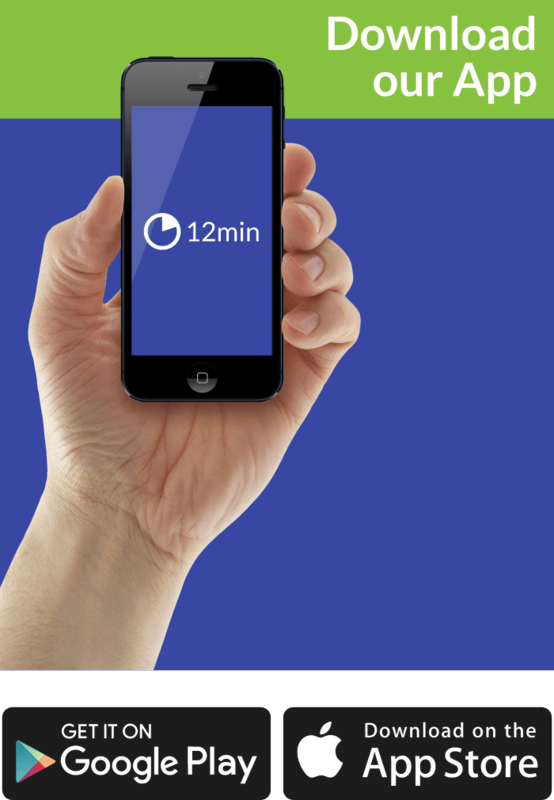 It’s the Unconscious – striking back!